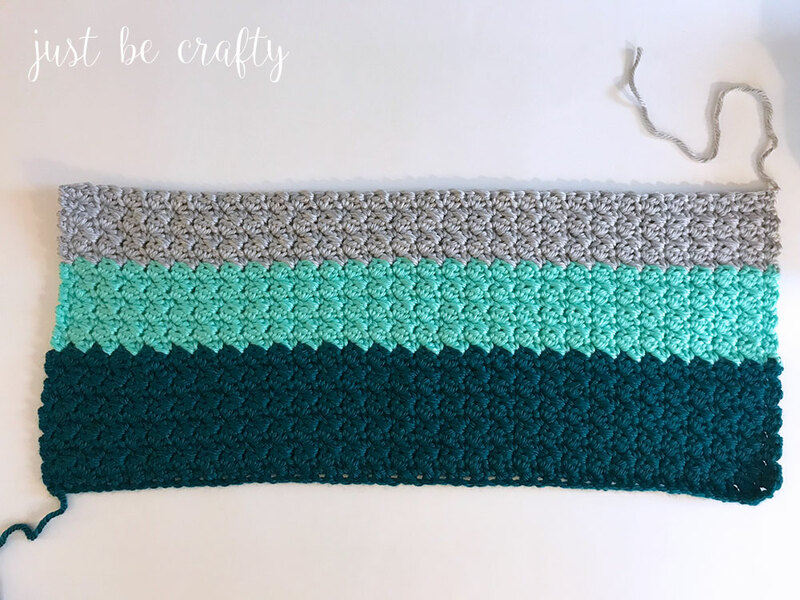 The Mint Color Block Crochet Cowl Pattern is a super quick and easy project to finish over a weekend! 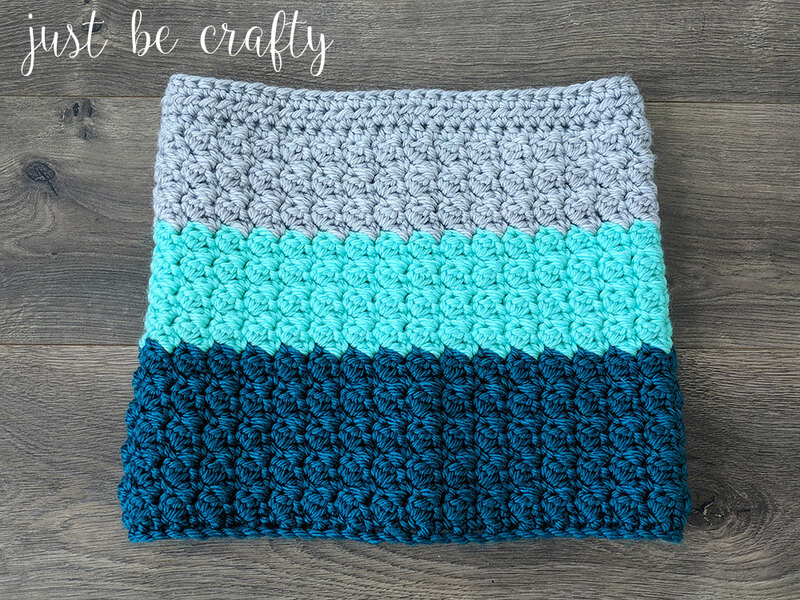 This colorful fitted cowl will keep you stylish AND warm! Hey there, thank you for stopping by my blog! 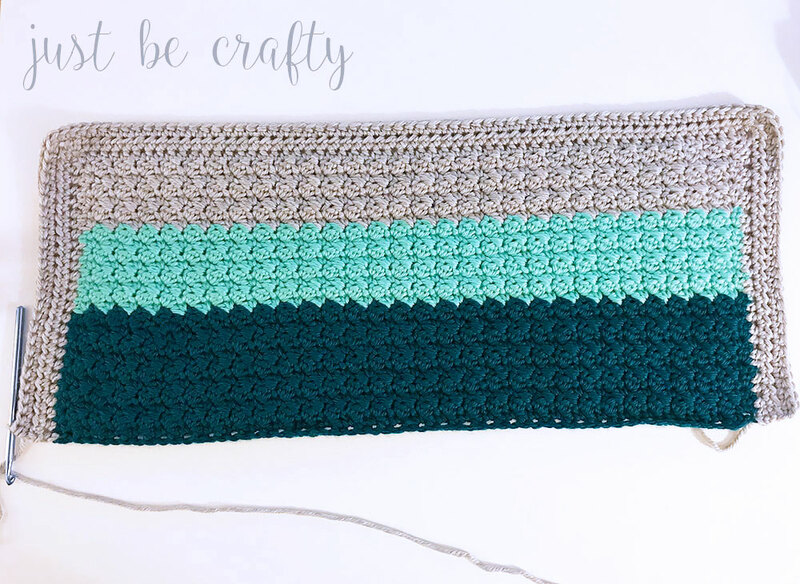 Today I am sharing a fun new pattern – the Mint Color Block Crochet Cowl. I hope you are enjoying your winter so far and staying warm! 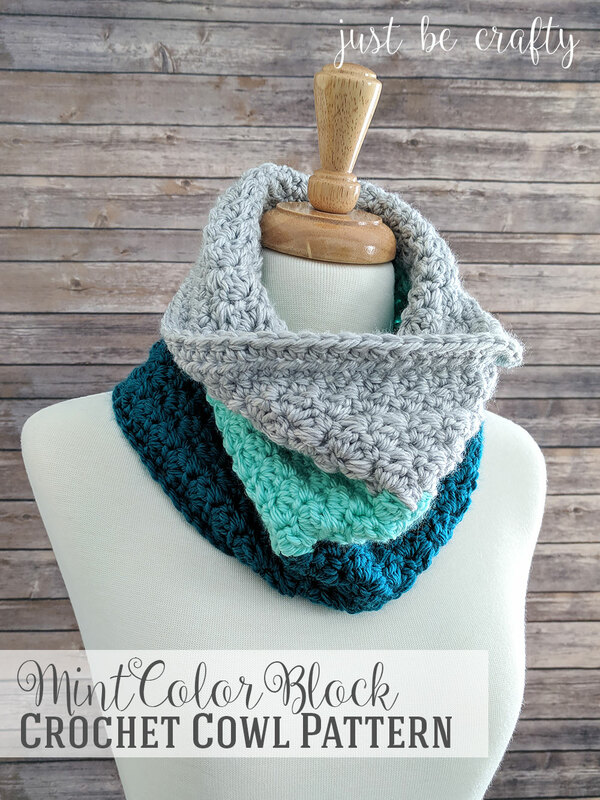 To help you stay warm throughout the rest of the season I thought it would be fun to make another crochet cowl! In case you missed it, I posted the Textured Woodland Cowl last week in a really pretty amethyst color. I don’t typically wear a lot of color – mostly greys and blacks. 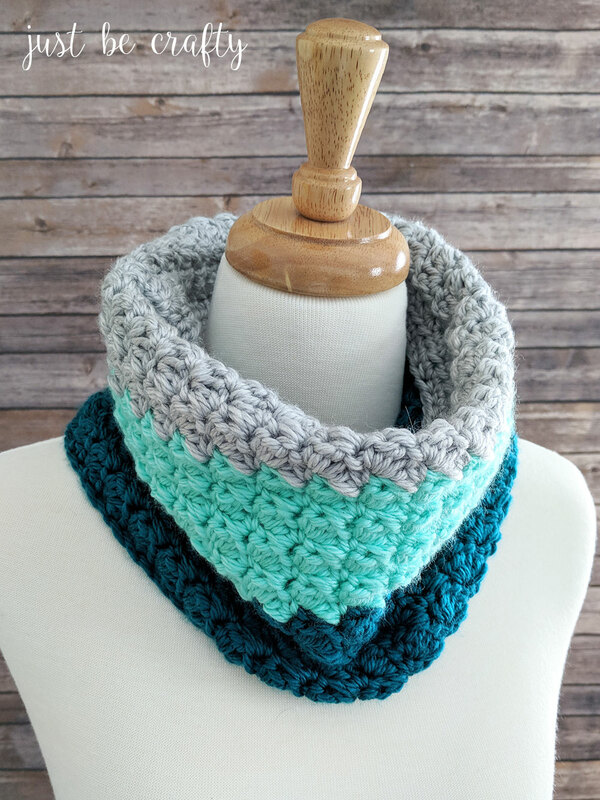 So in an attempt to step out of my comfort zone I have been trying incorporate more colors into my patterns – hence the pop of mint in this cowl! 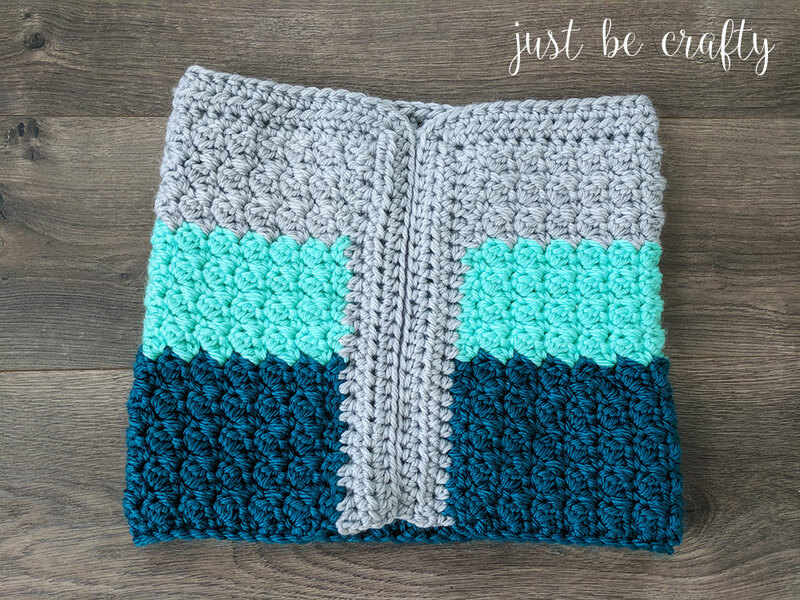 Check out this video to see the stitch technique used in this pattern! 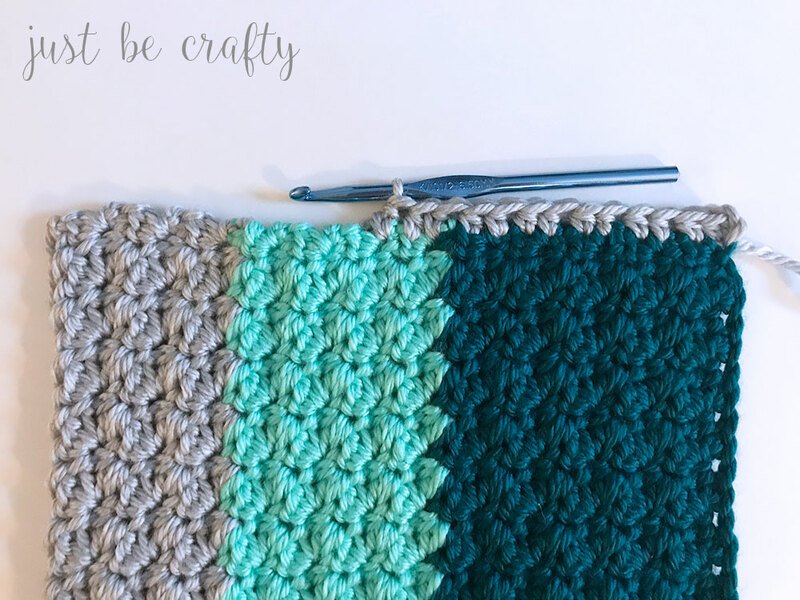 Row 1: In 2nd ch from hook, make a sc, then dc in next ch; keep alternating sc and dc in each ch until you reach the end of the row, ch 1 and turn. Row 2: sk 1st st, sc AND dc in next st, *sk a st, sc AND dc in next st; repeat from * to end of row, ch 1 and turn. Cut color #1, attach color #2. Cut color #2, attach color #3. Lay piece out flat in front of you. Row 1: Starting on the right edge at the bottom, insert yarn in the bottom corner stitch and ch 2 (the ch 2 does not count as a st), and 24 hdc evenly along side edge and make 3 hdc in the corner stitch, hdc along top edge, making 3 hdc in the next corner, make 24 hdc along left side edge, turn. 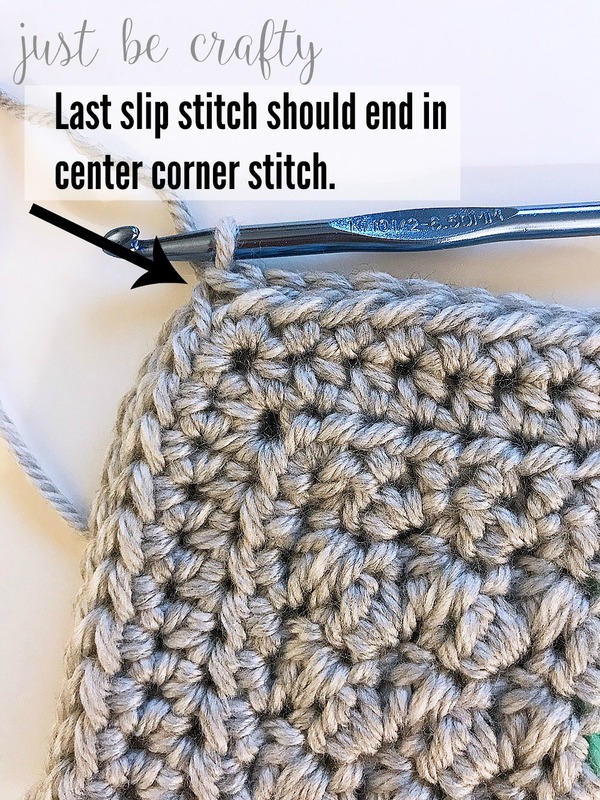 Row 2: ch 2 (does not count as a st), hdc in each st making 3 hdc in both center corner stitches, once you reach the end, turn. Lay piece out flat with right side facing up with Partial Border at the top. 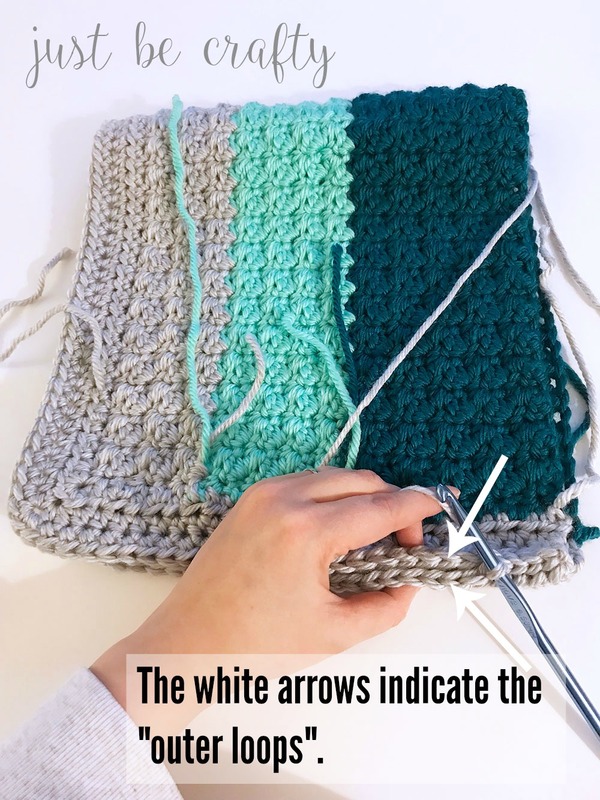 Fold in half so that both side edges are touching, line up stitches, ch 1 and sl st the outer loops together – ending in the center corner st at the top edge of the cowl. Cut yarn, secure and weave in ends. Turn cowl right side out. Gorgeous- did you mention what yarn brand and colors you used??? Thank you and yes! 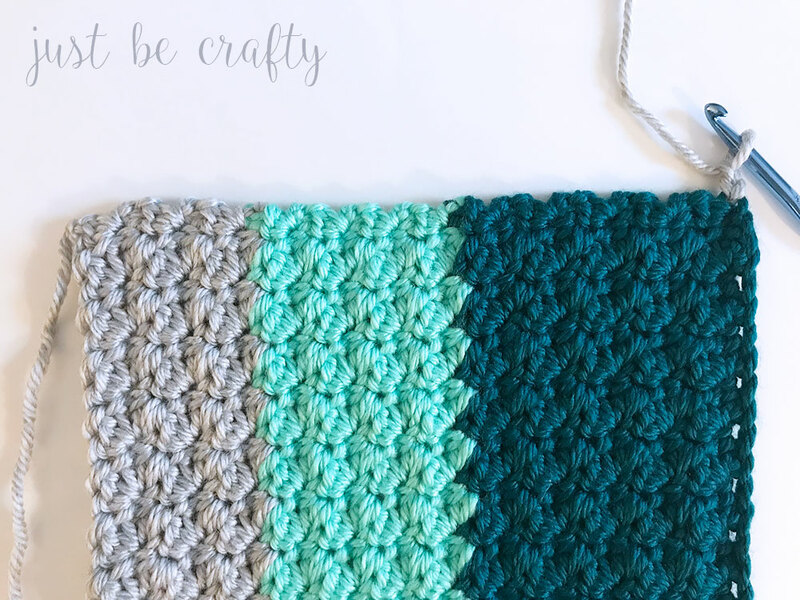 The yarn color and brand is listed in the pattern portion of the post (Red Heart Soft Essentials).